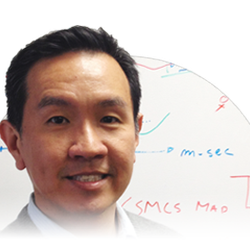 Thomas Woo considers Bell Labs the ultimate candy shop for a systems person. On joining Bell Labs, Thomas started his career in the networking area. Bell Labs was a truly unique experience for Thomas. Not only did it offer a multidisciplinary research environment, it also allowed early access to many emerging technologies. Indeed, Thomas picked up multiple new interests and expertise as part of his research work. These included, for example, high-speed router design, wireless data and big data analytics. It was an especially fortunate time as many of these technologies were just at their beginning. Thomas still fondly remembers working with the first 9.6kbps CDPD modem, which was equal amazement and frustration. And way before the arrival of smart phones, Thomas was already re-programming “feature” phones to support advanced data features such as wireless messaging. Thomas is a strong believer that good research can lead to good commercial systems. He has been involved in three startups in his career: one external in the Silicon Valley and two internal ventures. Two of them have yielded systems that are deployed in Tier 1 service providers, and have generated significant revenues. As a researcher, Woo notes that it is extremely satisfying to see a system one helps architect and build being deployed and providing useful and critical service as designed. Building good systems is both an art and a science. The judicial use of algorithms and rigorous analysis are key to good system construction. At the same time, good designs come from having the right abstractions, which can be a matter of taste and experience. Bell Labs has a strong tradition of system research. Much of Thomas’ work has benefited from this tradition. Thomas now heads the Scalable Data Processing activity. He strongly believes the future lies with data; the ability to process data in a scalable way will become a limiting factor. In this activity, Thomas and his team are looking into building scalable and elastic systems that integrate the functions of operational data processing, real-time analytics and offline analytics.